What's on Netflix > Netflix News > When will Season 7 of Archer be on Netflix? When will Season 7 of Archer be on Netflix? With Archer season 7 in getting into full swing on FX in the next couple of days, we’re looking ahead to find out the Netflix release date of season 7 of Archer. Read on to find out when. For those uninitiated with Archer, now is the time to dig in and get into the world of Archer as it shows no sign of slowing down. The series is an animated sitcom that first showed in 2009. It’s evolved over time morphing from an action crime thriller to a more Miami vice styled show. Archer season 7 continues the trend of changing the show format once again moving closer to a 80’s-90’s movie parody series and while it’s not quite a reboot, it’s pretty damn close to one as outlined by the shows producers. We’ve also heard that the Archer team will be heading to Mars in season 7 so look forward to that. Netflix added season 6 of the show on March 29th 2016 meaning Netflix now has the most complete catalog of Archer episodes but with season 7 now starting up again it’s time to see when the new season will arrive onto Netflix. There are 13 episodes confirmed for season 7 and is likely to run up until June 2016. That’s a couple of months later than season 6 wrapped up because of the show being pushed back to premiere in March. This could mean a delay with the show being added to Netflix but it’s unlikely. 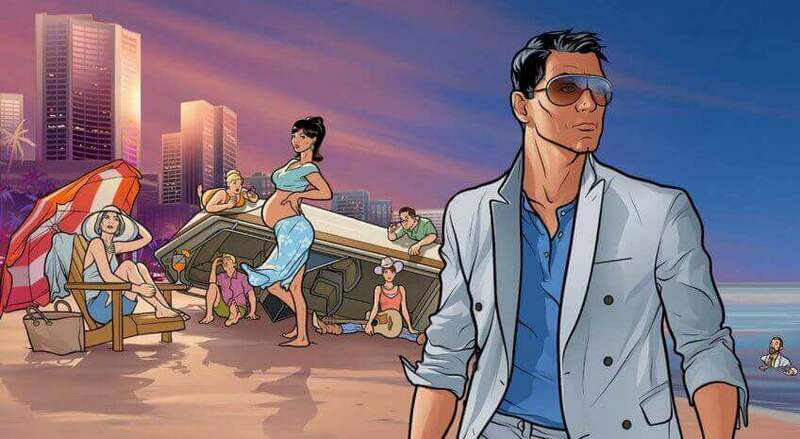 FX’s strategy with Archer and its other shows have been to release their shows onto Netflix just a few days before the premiere of a new season. So assuming season 8 gets confirmed, we can firmly predict that Archer season 7 will be added to Netflix in March 2017. So there you have it, the Netflix release date of the new season of Archer. Will you be waiting to watch it on Netflix or find another method of watching the show? Let us know in the comments below. Previous story What was the first Netflix Original?